The general office space should have a ceiling height that provides long-term flexibility for future floor plan changes. In historic buildings, however, original ceilings in significant spaces should remain exposed to view. New suspended ceilings in standard office space within historic buildings should maintain the original ceiling height to the greatest extent possible, maintaining full clearance at windows and grouping systems, as necessary, to minimize the reduction of ceiling height. In office space containing vaulted ceilings, oversized windows, or similar features, consideration should be given to thoughtfully designed, exposed system solutions that maintain full ceiling clearance and allow ornamental surfaces to remain exposed to view. The clear ceiling height for office spaces is a minimum of 2,700 mm (9 ft.) for spaces that are larger than 14 m2 (150 sq. ft.). The clear ceiling height of individual office rooms not exceeding an occupiable 14 m2 (150 sq. ft.) is a minimum of 2,700 mm (9 ft.). The clear ceiling height of private toilets and small closets, which are ancillary to other office spaces, is a minimum of 2,300 mm (8 ft.). Enclosed offices should have the same ceiling height as adjacent open office spaces to allow future reconfiguration flexibility. The clear ceiling height for office space is a minimum of 2,700 mm (9 ft.) for spaces that are larger than an occupiable 14 m2 (150 sq. ft.). The clear ceiling height of individual office rooms not exceeding an occupiable 14 m2 (150 sq. ft.) is a minimum of 240 mm (8 ft.). The clear ceiling height of private toilets and small closets, which are ancillary to other office spaces, is a minimum of 2,300 mm (7 ft. 6 in.). The Facilities Standards for the Public Buildings Service establishes design standards and criteria for new buildings, major and minor alterations, and work in historic structures for the Public Buildings Service (PBS) of the General Services Administration (GSA). 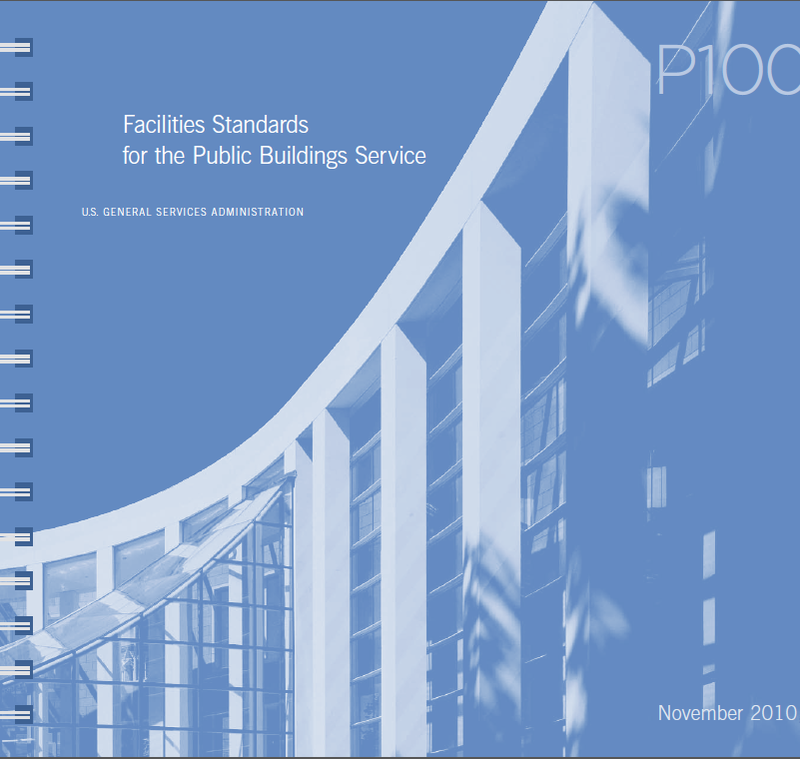 This document contains policy and technical criteria to be used in the programming, design, and documentation of GSA building. The Facilities Standards is a building standard; it is not a guideline, textbook, handbook, training manual, or substitute for the technical competence expected of a design or construction professional. Click here to view the 2010 P100 Downloadable Version.